Making Italian dessert recipes are some of the things that build memories, especially if you involve your children in the process. Struffoli is one of those things that is very popular among Italian families around the Christmas holiday season. In fact, while I was growing up, I don’t remember a Christmas without it. This Struffoli Recipe is easy to make, tasty and colorful. Once you make this Struffoli Recipe, the Struffoli will keep covered at room temperature for several days. Therefore it is an easy to make this Struffoli recipe the day before company comes over for family get togethers..
Honey also has numerous healthful qualities, so you need not feel guilty about this recipe. I prefer to use Grapeseed Oil. I like the way it works with this, but if I can’t get it, I use Safflower oil. I tend to try to steer away from Canola and Corn Oils… Not because they taste bad, but because I opt for a healthier alternative. 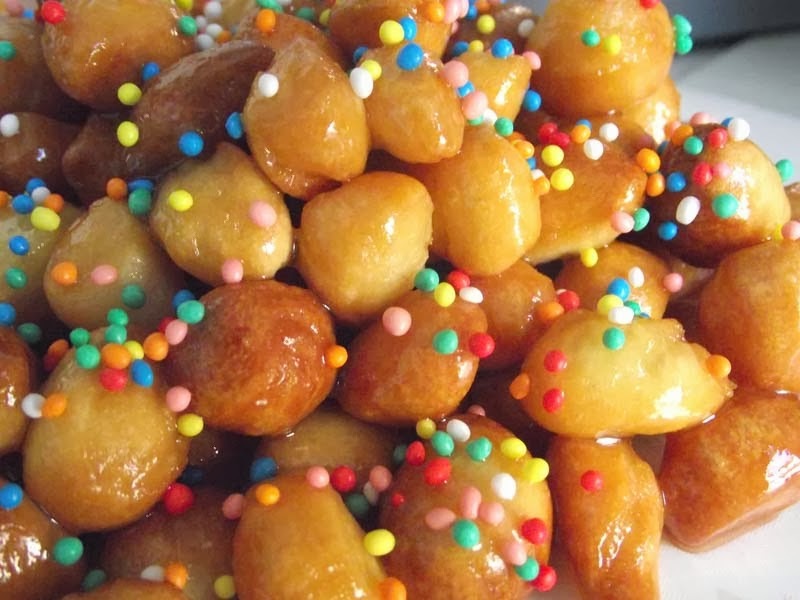 Let's get started with this Italian dessert, my Struffoli Recipe! Combine the flour and salt in a large bowl and set aside. I use a Kitchen Aid Mixer for this with a dough hook. Beat the eggs with your mixer and add the flour/salt mixture while pulsing the mixer. Then, mix until a well blended dough forms. Mix (knead) in you mixer a few minutes, until the dough is smooth. If the dough is sticky, add a little more flour. Shape the dough into a ball and place it back into your mixing bowl. Cover with plastic wrap and let it sit for about a half hour. Divide the dough into 8 pieces. Roll one piece into a ½ inch diameter rope, using your hands. Heat up your oil in a fryer, (use a fry baby if you have one). Once heated up, fry up enough at a time as not to over crowd them while frying. It should take about 2 minutes to fry to a golden brown. After all of the Struffoli are fried, set them aside and heat up the honey in a sauce pan until it starts to simmer. Remove the honey from the heat and add the Struffoli to the pan and gently stir well to coat all of the Struffoli with the hot honey. On your serving plate, pile up the Struffoli into a Struffoli mountain and decorate it with the nonpareils sliced almonds and candied fruit. I hope you enjoyed making my Struffoli Recipe. This is a classic Italian dessert recipe that is loved by all ages. 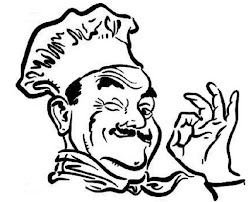 Check back for more authentic Italian recipes. Happy Holidays!